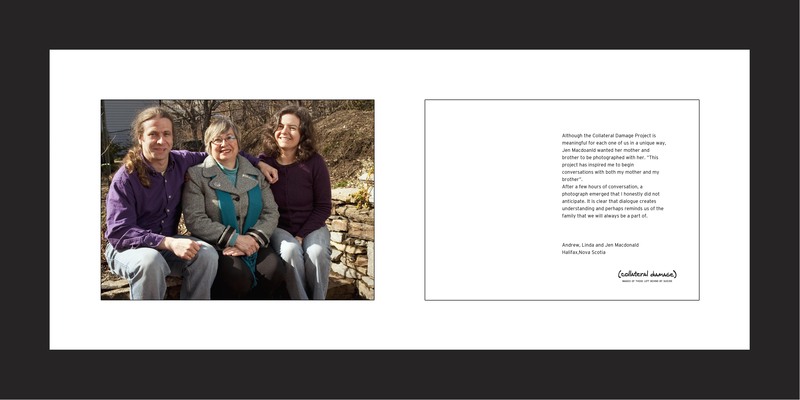 Although the Collateral Damage Project is meaningful for each one of us in a unique way, Jen Macdoanld wanted her mother and brother to be photographed with her. “This project has inspired me to begin conversations with both my mother and my brother”. After a few hours of conversation, a photograph emerged that I honestly did not anticipate. It is clear that dialogue creates understanding and perhaps reminds us of the family that we will always be a part of.